After a successful couple of seasons in the Sunset Speedway Signs of Innovation Mini Stock class, Daniel Montanari will jump behind the wheel of the family’s Late Model to compete in the top division at the Innisfil, Ontario oval. Despite being busy with several different motorsports avenues including broadcasting with Speed51.com, Kendra Adams will be back behind the wheel of her Limited Late Model at Sunset Speedway this season. 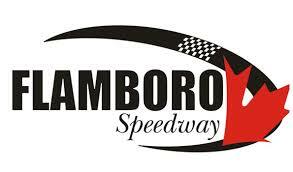 After spending last season at the beach, Jordan Latimer will return to his home track, Sunset Speedway, for the 2019 race season. He will once again be competing in the NASCAR Whelen All-American Series Division I Limited Late Models. With anticipation building towards the 2019 racing season, Spencer-Walt Motorsports unveiled the No. 31w Limited Late Model for Rick Spencer-Walt this past weekend at the Motorama Custom Car and Motorsports Expo.